Quick overview Think for yourself - before someone does it for you. Do things no one does or do things everyone does in a way no one does. See the same world you've always seen and that everyone else sees, but think new thoughts. Get children to think in order to make the world better further down the line. Fight back. Think for yourself, before it's too late and before someone else does it for you. 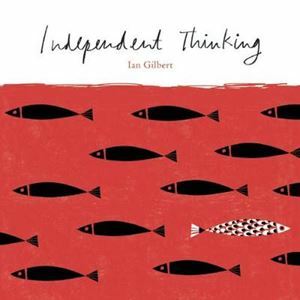 Written by Independent Thinking founder and award-winning author Ian Gilbert, this book is an invaluable collection of reflections, ideas and insights on the nature of learning, thinking, creativity and, drawing on Ian's experience across three continents, the role education has in changing not only people's lives but also entire societies. Controversial, humorous and challenging, this book is both moving and personal yet carries an important global call to action from a man with a distinctive voice and a unique perspective who has earned the right to speak his mind.